People's Food Co-op has been in the Portland community since 1970. People’s is one of two Portland food cooperatives that remain from the surge of new co-ops in the '60s and '70s. Scroll down to read our complete history. People’s was formed as a food buying club in the late '60s by a group of Reed College students interested in obtaining whole foods. 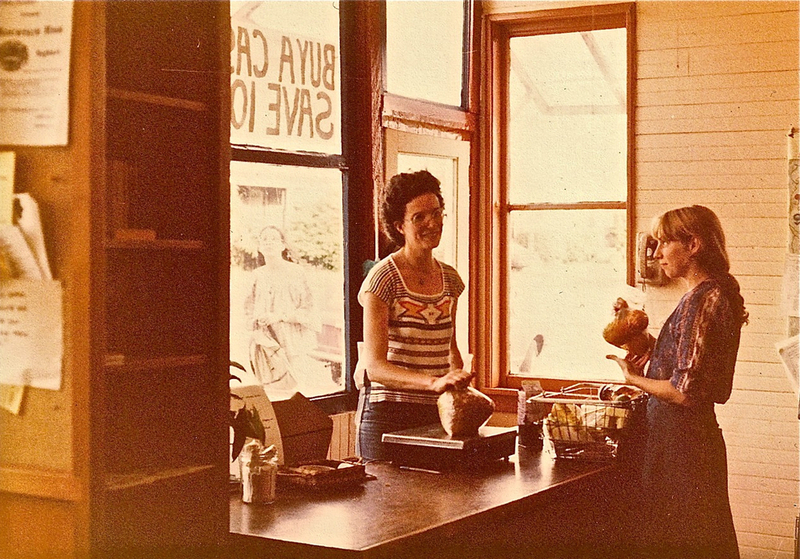 In 1970, newly-incorporated non-profit "People's Food Store" opened its storefront at 3029 SE 21st Ave. In the 1980's a wide variety of products from motor oil to peanut butter lined the shelved as People's worked to meet as many needs of its members as possible. In 1991 sales dropped, the co-op was having a hard time paying its bills, and the staff collective voted to close the store. In 1998, a four-person Management Team replaced the General Managers. Under this system, significant improvements in profitability, staff turnover, wages, financial management, and accountability were achieved. By 2000, growth was over 20%, and sales exceeded $1 million. People's incorporated as a cooperative in 2000. Construction of an expanded store began in the fall of 2001. The expansion focused on using natural building materials and energy-saving technologies. The Grand Opening Celebration for the beautiful, ecologically-built store was held on March 22nd, 2003. In 2011, the Collective Management restructured its team-based model to include elected, representative bodies responsible for personnel and big-picture duties. In 2015, the number of People's Member-Owner shareholders reached 10,000. People’s was formed as a food buying club in late '60s by a group of Reed College students interested in obtaining whole foods. As support for the buying club grew, the vision of a storefront began to bloom. In 1969, the food-buying club incorporated as a non-profit under the name “People’s Food Store” and by 1970 the co-op set up shop at 3029 SE 21st Avenue. In the early days, People’s was not truly a consumer-owned cooperative. Member-Owners were not actual co-owners of the store and did not invest in a share in the co-op, but rather paid an annual membership fee. In the very different economy and community around the store during the 1980’s, if you came into the store you would find products as varied from our current product selection as beef jerky and motor oil. In 1991 sales dropped, the co-op was having a hard time paying its bills, and the staff collective voted to close the store. At the time there were only two board members, but they were convinced they wanted to keep the store open and set forth hiring all new management and staff to run the store and develop tactics for survival. In this time of struggle and transition, all but two staff members turned over, and the board hired David Lucas as the General Manager. Six weeks after David started, People's was 16 weeks behind in payments to their main grocery distributor, which began requiring cash upon delivery of products. David recruited volunteers, a bookkeeper and other staff who managed to juggle debt, negotiate with 35+ vendors, and pay down the debt to the distributor. 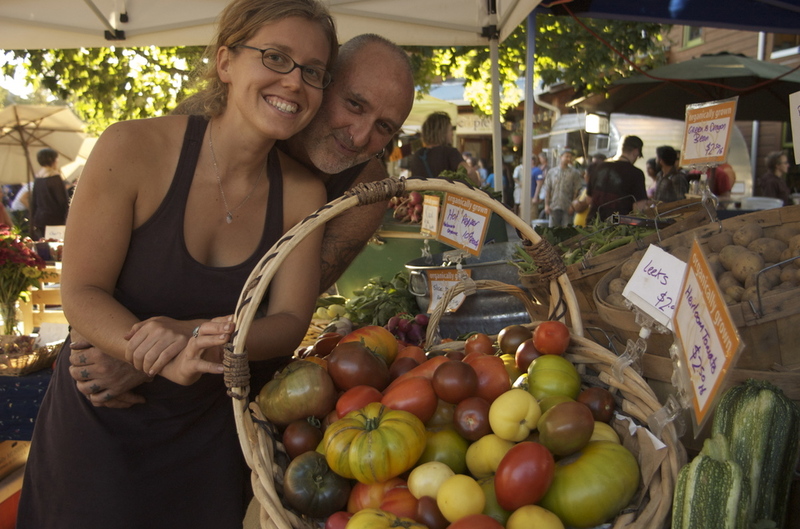 As a strategy to increase the success of the co-op, People's began to offer a monthly Farmers' Market. It was in this era that we moved to an almost exclusively organic produce department, and membership voted to adopt the currently upheld policy of maintaining a vegetarian store, with pet food as the only exception. Meanwhile, a number of co-op staff began working on returning People's to a collective management structure. The group created (and later implemented) a structure that by 1993 won the support of the board. The Co-op then had two co-General Managers overseeing operations. Growth was steady over the subsequent years. In 1993, a small expansion of the store added another checkout lane, a new exit door, and more space to the bulk area. Sales and interest in membership at the Co-op continued to grow. Soon People's sales per square foot were so high that it was a challenge to keep the single-faced shelves in stock. The board, staff, and Member-Ownership began envisioning an expansion that would incorporate sustainable building techniques. In 1998, a four-person Management Team replaced the General Managers. Under this system, significant improvements in profitability, staff turnover, wages, financial management, and accountability were achieved. At this time there were approximately a dozen regular staff on payroll and a handful of on-call substitutes. By 2000, growth was over 20%, and sales exceeded $1 million. People's officially incorporated as a cooperative in 2000, and began selling $180 shares in May of that year. In just over 5 months, over 500 owners invested in a PeopleShare, gaining the Co-op over $30,000 in equity. Reincorporating as a consumer-owned cooperative was not only a way that People's could better fulfill the 7 Cooperative Principles but also part of the strategy to build the equity it would take to manifest a store two-and-a-half times the size of the original space. Converting to a share system for Member-Ownership wasn’t the only structural change that had to occur before People's would be sustainable enough to make such a large change. The staff collective undertook an overhaul of job descriptions, and moved from a loose collective structure to a team-based structure for reporting and accountability. This structure led to greater empowerment for staff in their jobs. Construction of the expanded store began in the fall of 2001. The Co-op was open for business for all but a handful of days during the year-plus, two-phase construction process. The Grand Opening Celebration for the beautiful, ecologically-built store was held on March 22nd, 2003. Around 2004, our Member-Owner economic benefit, the 4% discount, came seriously into question. A committee of Board, CM and Member-Owners at Large was formed to evaluate that system and research other options. The committee report to the Board resulted in a proposal to the ownership to move to a Patronage Dividend System in order to foster the long-term financial sustainability of the co-op and the ability to be able to have more community wealth to reinvest back into the Co-op when needed. In 2006, the Board began researching a new governance system called Policy Governance. Around this time, the staff collective began thinking of themselves as a group that managed the store collectively, adopting "Collective Management" or as their new title. The Policy Governance system helped define the roles of the Board and Collective Management, organized and systematized the reports required from the Collective Management, and allowed the Board to focus on vision while ensuring that operations were well taken care-of. As a result of this change, the Board updated the vision that People's works towards - called our Ends. 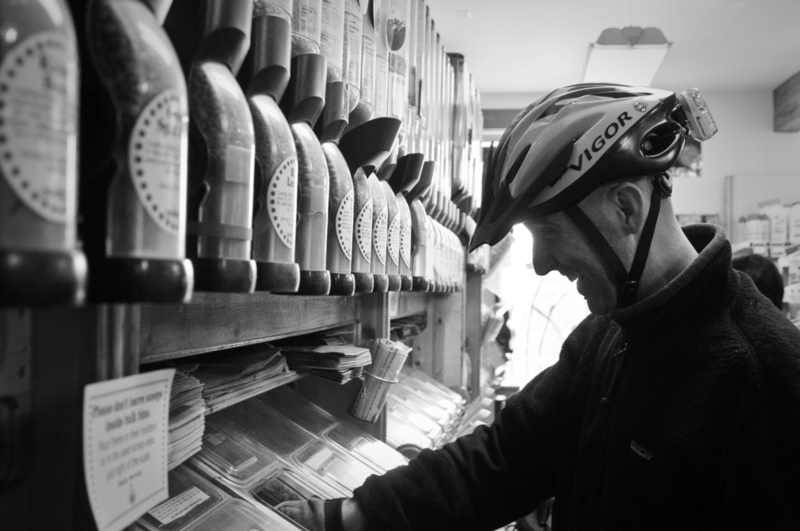 In 2008, The Daily Grind, a natural foods store about a mile away from People's, closed its doors permanently. Regular Daily Grind shoppers flooded People's, and the store experienced rapid growth in sales, Member-Ownership, and staff. 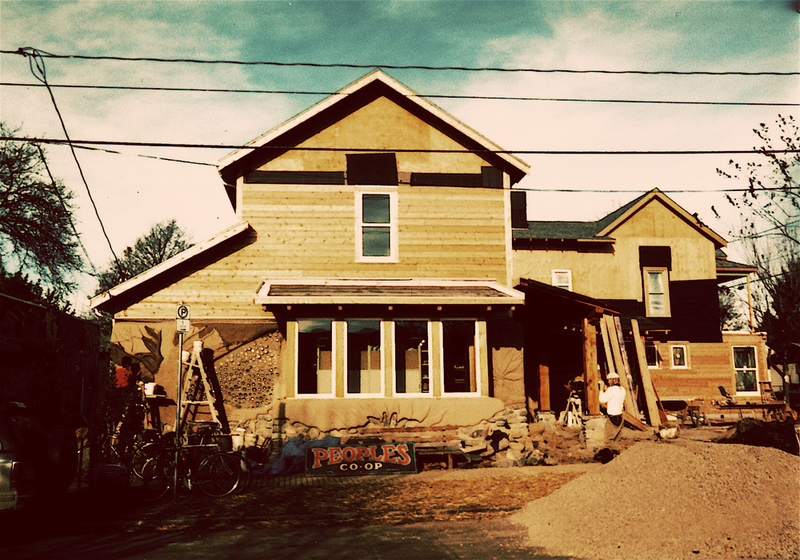 The Collective Management began planning for development, and using Member-Owner input, decided to open a second store, an educational organic farm, and co-op incubator. Unfortunately, these decisions were hastily made, and due to a variety of factors, in 2010 the Collective Management stopped the development process before a site had been found for the second store. Beginning in 2009, the Collective Management began feeling the need to address inefficiencies and inequities in their structure. After thorough research and consideration, in 2011, the Collective Management restructured its team-based model to include elected, representative bodies responsible for personnel and big picture duties. In subsequent years, People's sales per square foot continued to rise, and natural foods competitors began capturing more of the market. Since the permits for the 2001 expansion prevented the Co-op from expanding any more in its current, residential location, the Board and Collective Management began asking, "What's next?". There's so much to celebrate. It's also time for People's to evolve. The Board and Collective Management will be working together with People's Member-Ownership and wider communities to decide where to go next. To read even more in depth about the Co-op's history, check out Marc Brown's article Building an Alternative from the Oregon Historical Quarterly.